9x12, xxv + 248 pp. Antonio Salieri composed this Requiem mass intended for his own obsequies in 1804, over twenty years before his death in 1825. Written at the height of his creative powers, it is his greatest work of liturgical music—a dramatic, personal interpretation of the liturgy of death. Not many composers wrote their own funeral music, and this Requiem remains somewhat mysterious. Why did Salieri write it when he did? Why did he arrange for the autograph score to be sent after his death to Count Haugwitz in Námĕšť? When was it first performed? What is the significance of the english horn in the score? 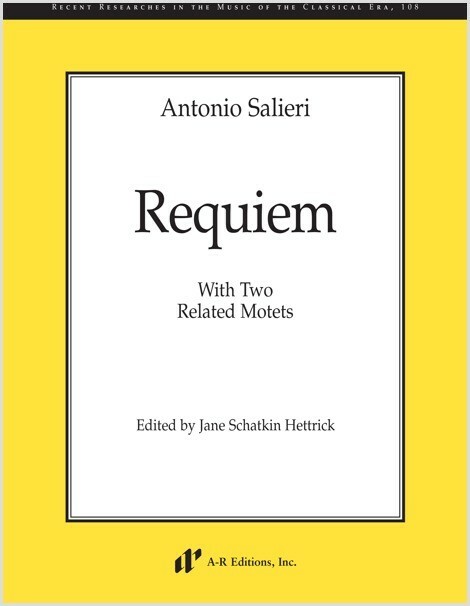 This volume also includes two motets related to Salieri’s obsequies, making it the first edition of his complete funeral music. Rental performance parts (including a choral score) are in preparation.